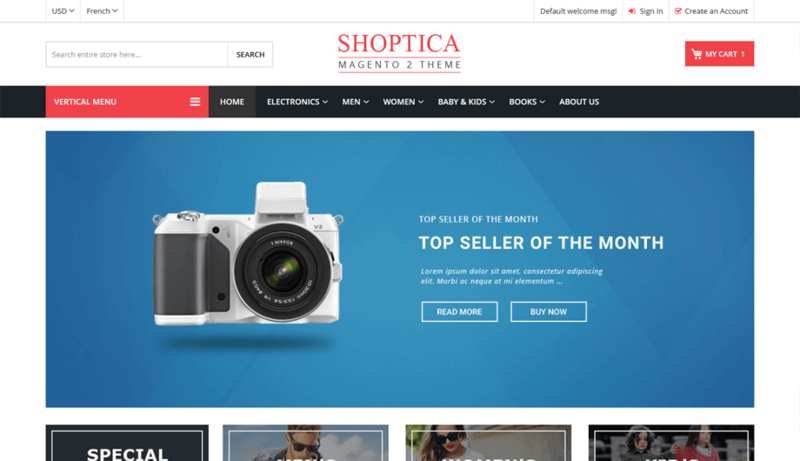 Shoptica is a perfect Magento 2 theme to create a different store than your competitors. 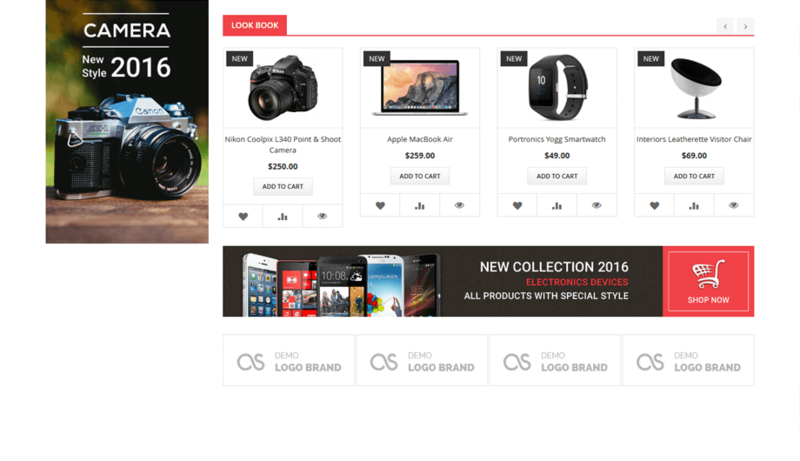 It’s a premium multipurpose theme with a fully responsive, eye-catching and modern design. It is perfectly suitable for all kinds of online stores such as Digital store, Watch store, Fashion store, Furniture store, Bookstore, Cosmetics shop, Luxury jewelry, and accessories. 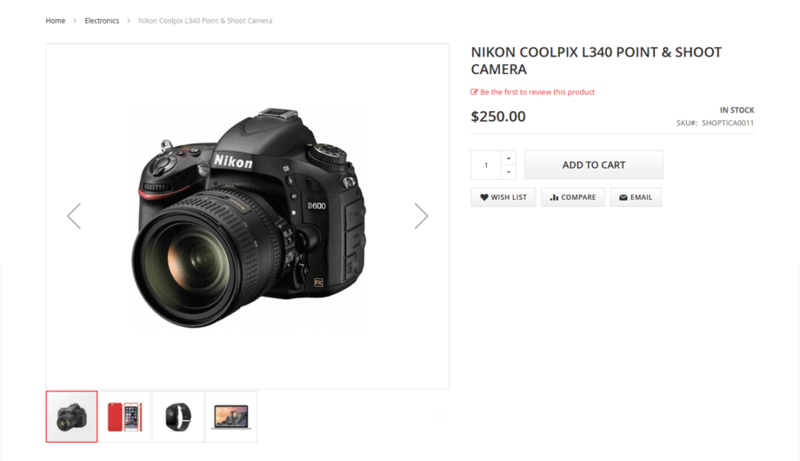 It fully meets the must-have features of an online store. In addition, Shoptica is integrated with SEO standards and fits on all devices. It gives your shop the most beautiful style. 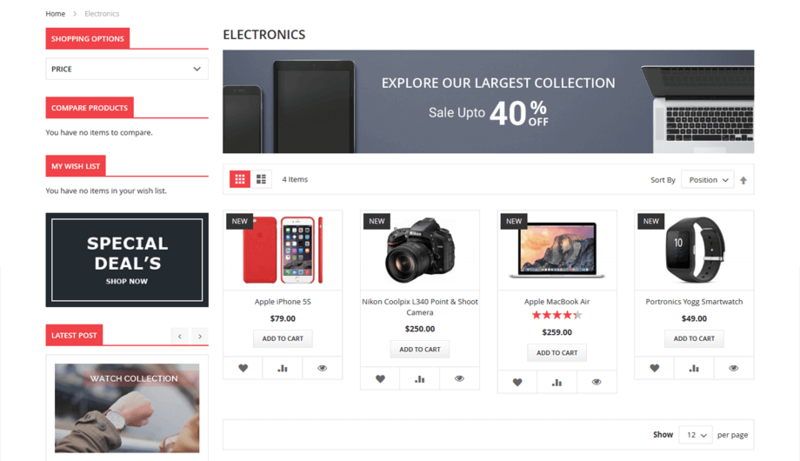 The theme allows organizing your categories, subcategories easily with the different content display. It comes with a responsive banner slider. The store owner can place their custom sliders for promos, new products or any other things they need to highlight. Shoptica is a great starting point for you. It comes with advanced mega menu feature for creating a better look and professional navigation easily without technical knowledge. 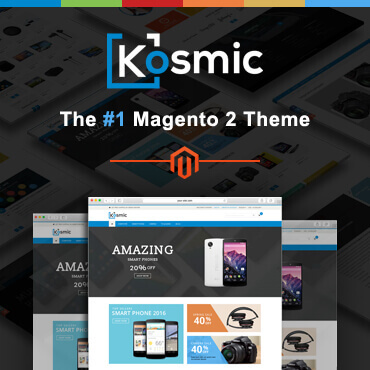 This powerful Magento 2 theme helps you promote your products to the best. It will attract customers and improve the traffic of the website. Shoptica is fully responsive on any kind of devices. It is designed with intelligence and good UX design for all mobile devices. Shoptica arrived with Magento 2.0 compatibility! All extensions that comes with Shoptica are fully compatible with Magento 2.0 without affecting Magento core files. Shoptica comes with unlimited colors options. You can easily choose theme colors from backend panel. You can also make your own color theme easily. Shoptica comes with Vertical Mega Menu features that show on left side of the home page which is much more comfortable to follow, watch and keep track within the website. 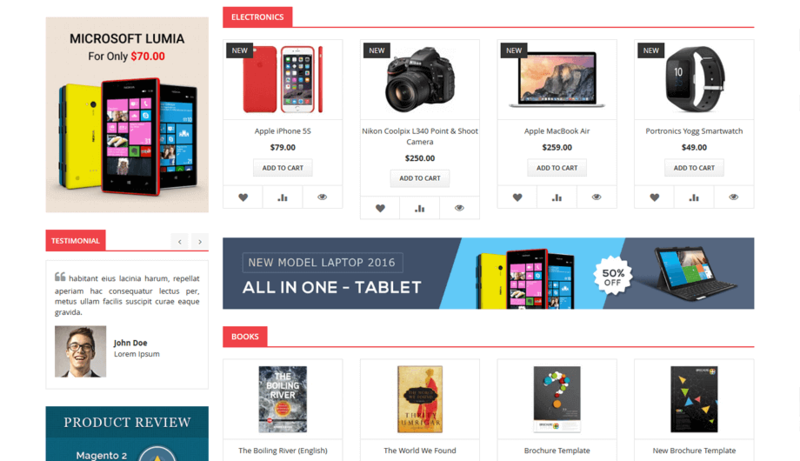 Shoptica comes with Responsive banner slider. The store owner can place their custom sliders for promos, new products or any other things they need to highlight. 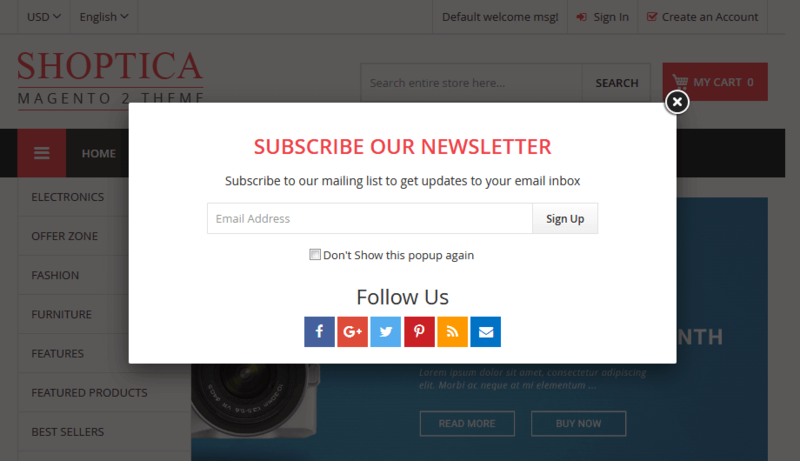 Shoptica has inbuilt Advanced Newsletter Popup extension that promote your products, news, ads, and special events through attractive popup window. Shoptica offers two great features that require on every website like best seller products and best deals products with countdown. Your theme is easy to use, I appreciate your staffs to help and reply so quick even though i ask so many questions, it’s the best service I ever have as compared to other companies. Nice work. Best regards..!! Super simple, easy to use off-canvas navigation menu. It is one of the best solutions for store on mobile today. 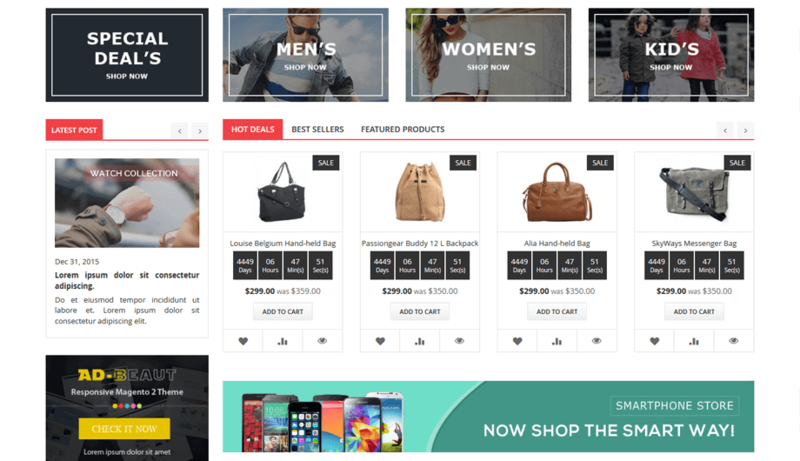 By just one click you can import all sample blocks that comes with Shoptica theme. 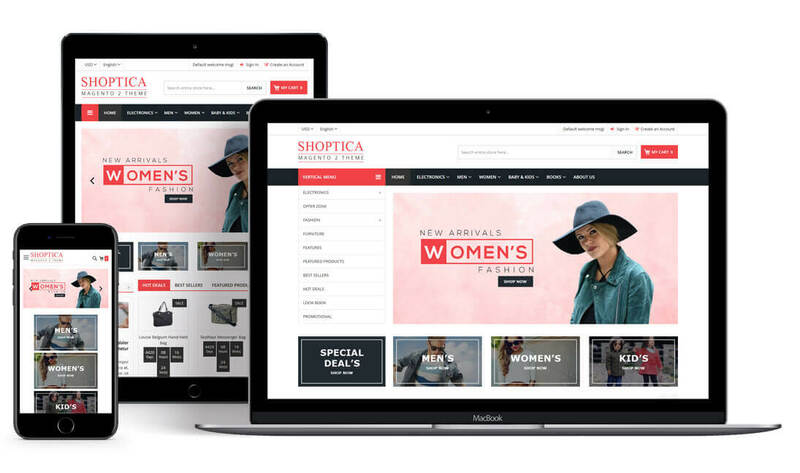 Shoptica have ideas and inspiration for all types of fashion, eCommerce stores, including electronics, fashion, jewelry, furniture and many more. 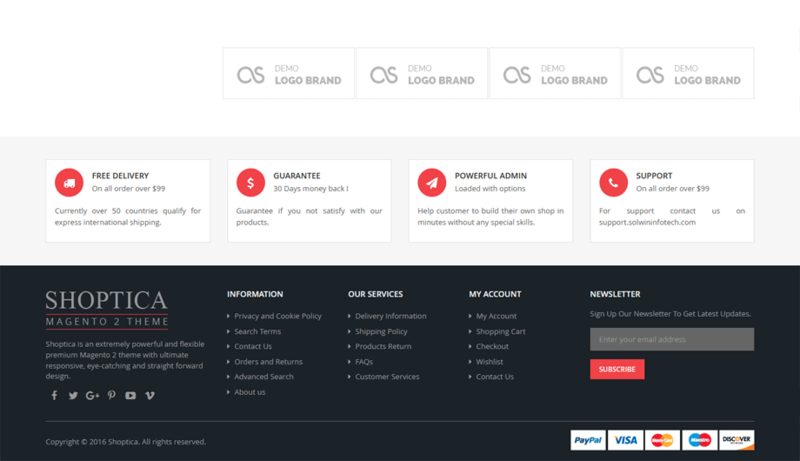 Shoptica theme is easily customizable from backend and you can set all theme & design settings from backend. Had issues with installation but support was helpful. Good starting point if you don’t want to start from scratch. Excellent Support by team Solwin Infotech!!!!! Great support and great extension, thanks! 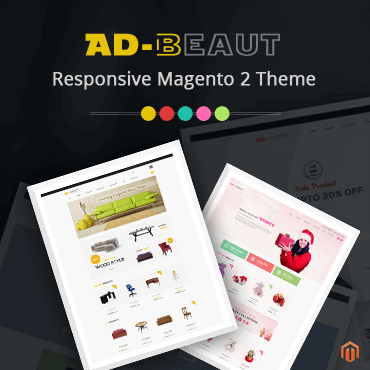 It is 100% unique and multipurpose Magento 2 theme for every professional web store. Excellent support department. Thank you! I recommand this theme.